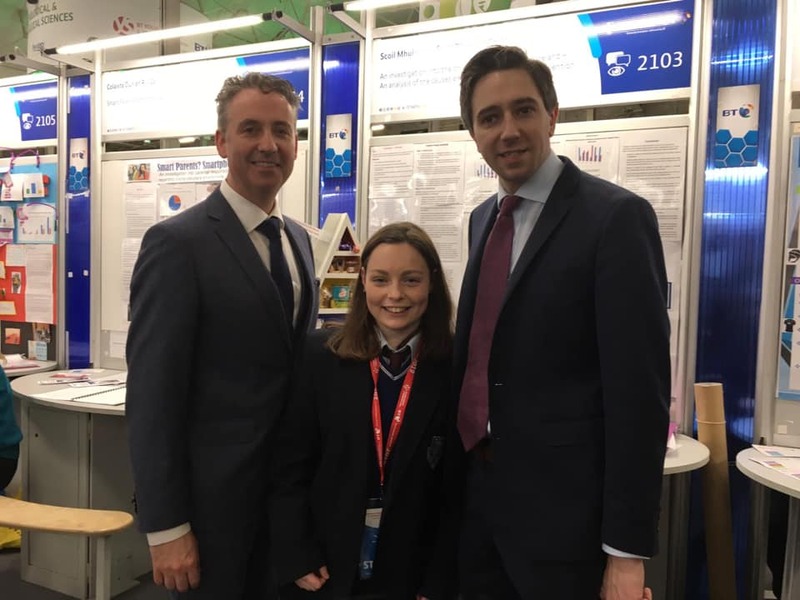 Second year student Miriam Murphy’s project was ‘An investigation into the childhood obesity crisis in Ireland – an analysis of the causes and recommendations for prevention’, and she hopes to find a solution that will eradicate this epidemic. The second project has been carried out by second year students Camille Udron and Dearbhla Murphy. Their project is ‘The Psychological effects of Alopecia Areata in Teenagers’. They learned that Alopecia is more that just a cosmetic illness it has a psychological impact that effects people all through their lives. Finally fifth year student Sarah Sweeney’s project was ‘The future of Quantum Computing: An investigation into the Algorithms and applications of Quantum Computing.’ She enjoyed this project as it made her look into something she would never have looked at before. Well done to all the participants on their projects and for earning the opportunity to patriciate, thanks were also paid to Ms. Keane and Mr. Nolan who supported the students and travelled to Dublin with them.